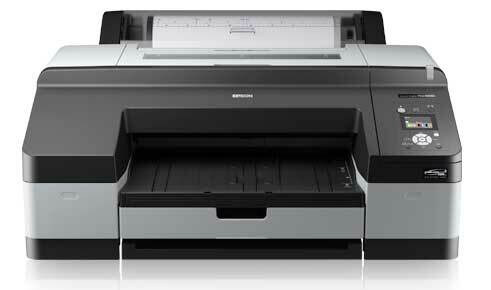 The Stylus Pro SP4900 is an 11 colour 17 inch printer from Epson. 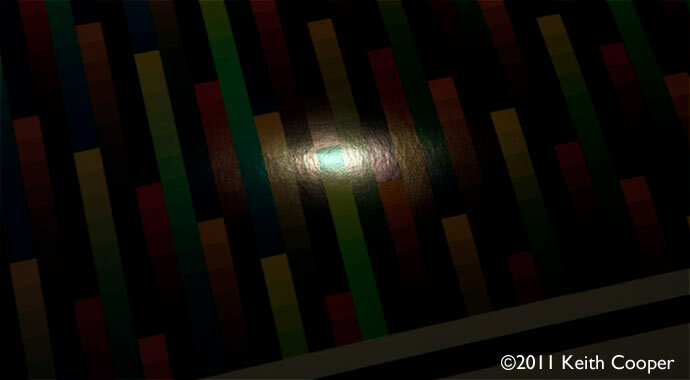 It uses the UltraChrome HDR ink set, which includes orange and green ink in addition to the normal CMYK options found in other UltraChrome based printers (such as the R3000or SP3880). There are actually 10 different inks in use at any one time, since it comes with both matte and photo black inks installed, switching between them as needed. Most of this review looks at an Epson SP4900 driven directly from Photoshop and using an Apple Mac. Functionality is very similar if you were using a Windows PC. 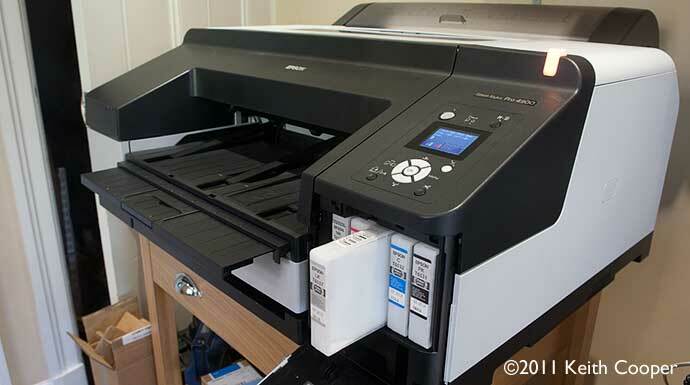 This review concentrates on using the printer for high quality print output. I’ve also included a brief look at the optional SpectroProofer 17″. This Epson product includes an X-Rite sourced scanning spectrophotometer, that can be used for various colour management functions. 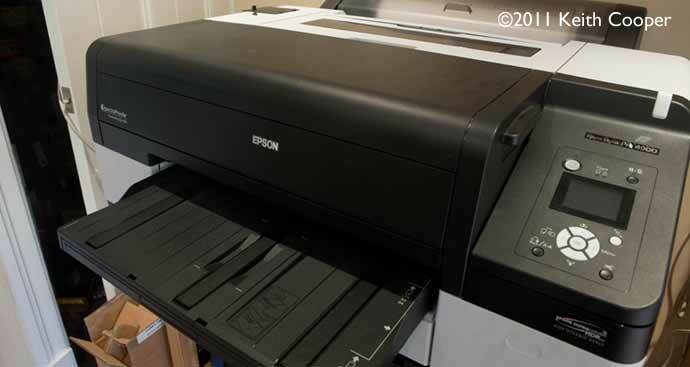 A while ago I reviewed the SP4880 17″ printer from Epson, and subsequently several other desktop printers. The SP4900 is just in a different league – it’s huge, weighing in at over 50kg. It’s the first ‘desktop’ printer that I couldn’t move on my own. Our’s arrived in a flight case from Epson UK, so I don’t have details of normal shipping, but if it’s going in your house or upstairs, make sure you have some assistance. 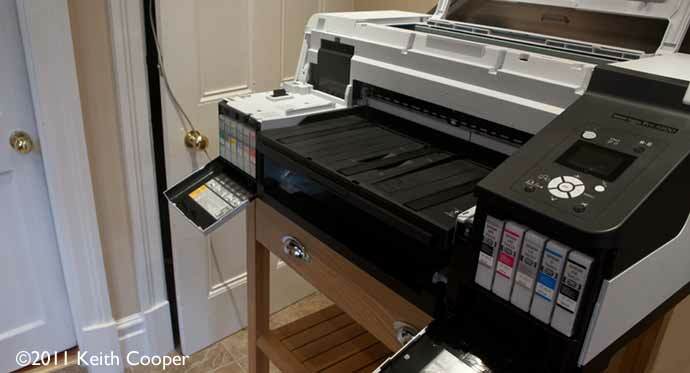 You need quite a bit of working space around the printer too. If you are moving up from an A3+ printer (or even an A2 3880), then you may wonder, why all the extra bulk? 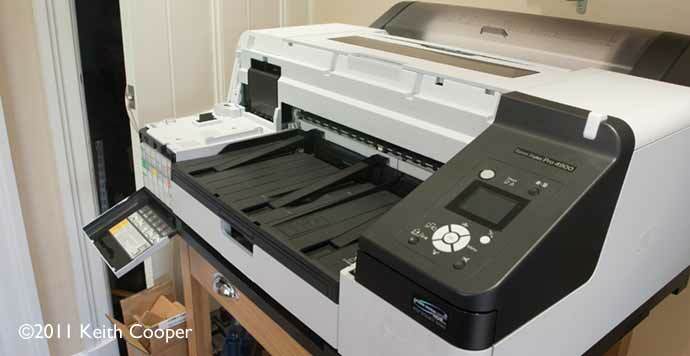 This printer is designed for heavy duty printing, with both a paper tray and roll paper support. Here it is with the 15″ MacBook Pro I used for quite a lot of testing. You’ll notice that I have the printer on a small table. Do make sure whatever you use can comfortably take the weight. An A2 print, on sheet paper, emerges from the printer. Automatic switching between photo and matte black inks, which are pre-installed. Full specs are at the end of the article. 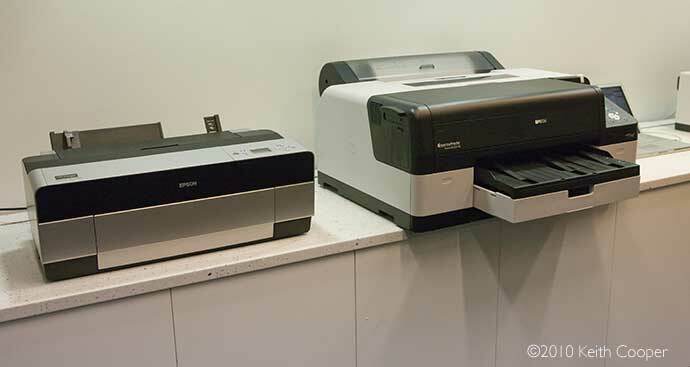 Here’s an SP4900 (with SpectroProofer option) next to an Epson SP3880. 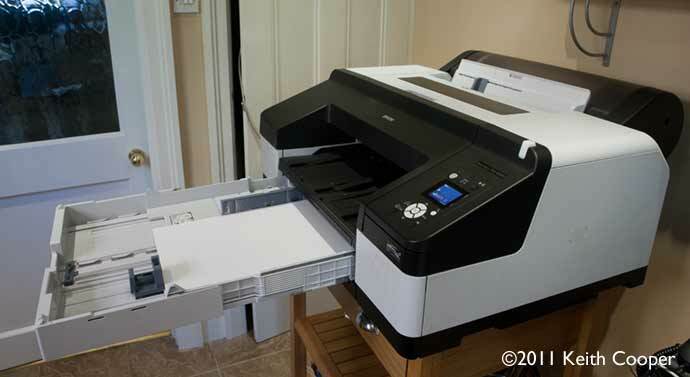 The printer has two interfaces. To use WiFi, you would need some form of external adapter. Connections are at the back. 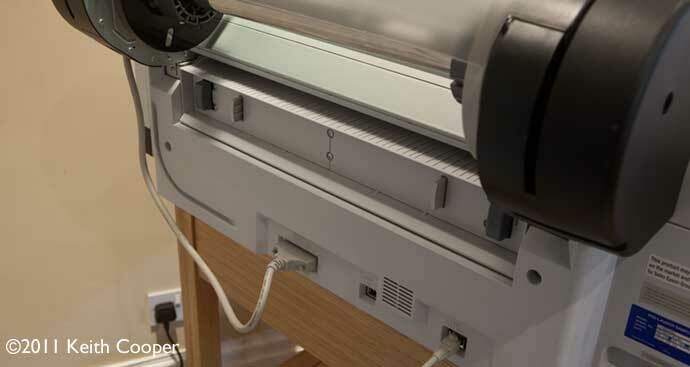 The lead you can see is the control cable for the motorised roll unit, which allows the printer to automatically unload/load roll paper if it needs to switch to sheet feeding. There is also an access panel at the back for clearing any stuck bits of paper. – Move your mouse over the image to see. Although I connected the laptop via USB, I also plugged in an Ethernet cable (shown above) and was able to use the printer freely from other offices. In general, if you’re not comfortable with network settings, the printer is likely to just appear on your network, once you’ve loaded suitable drivers on your computer. I’ll usually download the latest drivers from a supplier’s web site for testing, since disks that come with printers have a habit of being old versions. 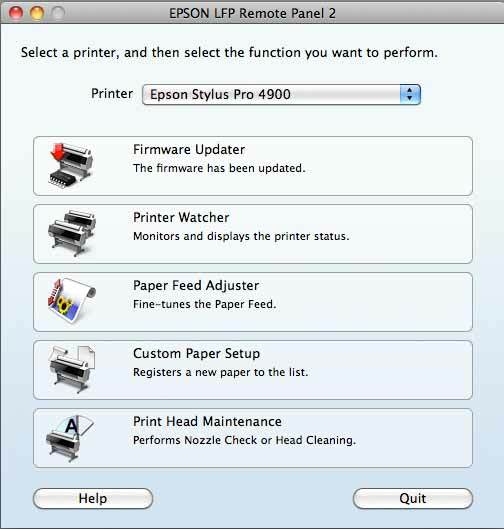 You can also set network preferences directly from the printer front panel, or use Epson’s utility software. In this review I’m only looking at driving the printer using the normal driver, rather than specialised RIP software. Like many modern printers, the benefits of using a RIP are, from a print quality point of view, much less than they were a few years ago (I don’t use one for any of my own fine art printing). If you -need- a RIP then you will probably already know why you need one. Don’t let your printer vendor double the price you are going to pay without getting solid proof of what benefits a particular RIP -may- offer. The printer controls are clearly laid out, with what I found to be a straightforward menu system. The display below shows a nozzle check under way on startup – during the few weeks we had the printer, I noted not one clog or blocked nozzle. Also shown are ink and maintenance tank levels, and an indication that I’m currently using roll media (with cutting enabled). 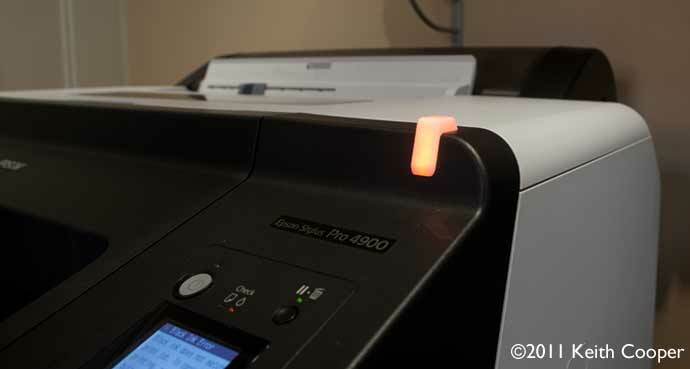 The orange warning light comes on if the printer needs attention. The design seems to have been inspired by the alert light on the bridge console of the original Star Trek Enterprise. 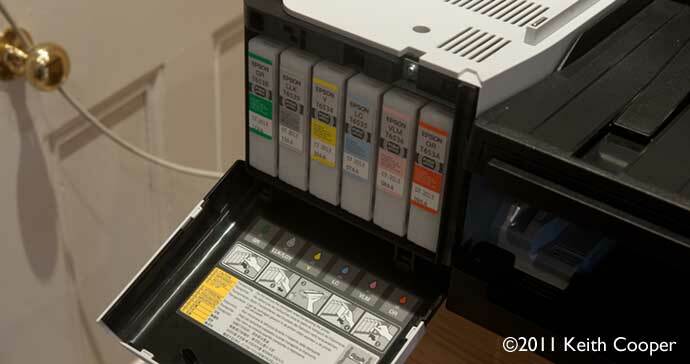 The 11 ink cartridges are in two groups of six and five, at either side of the printer. 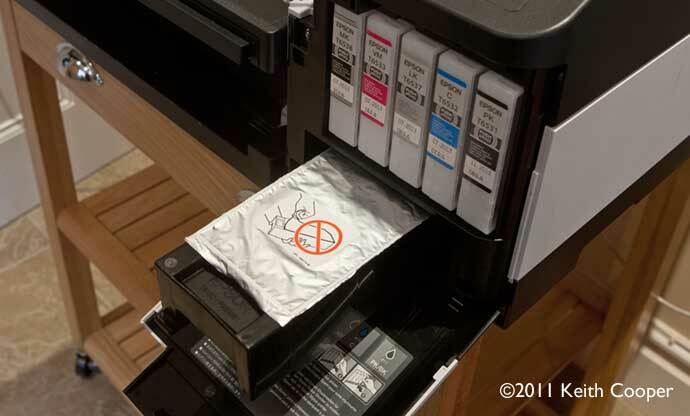 The printer takes 200ml ink cartridges, although it is listed as being only supplied with 11 110ml carts (no matte black ink). Move your mouse over the image below to see the left set of inks (6). The right hand set of inks (5). Move your mouse over the image to see the main waste ink tank. Just push a cartridge in and it will pop out. Move your mouse over the image below to see. There is actually a second waste ink tank (aka maintenance box) that you can access when the black paper tray is removed. This tank catches overspray if you are doing borderless printing. It’s clearer to see with the top removed. I’ve only done this as part of the process of fitting a SpectroProofer, which I’ll show later. Move you mouse over the picture to see the tank removed. 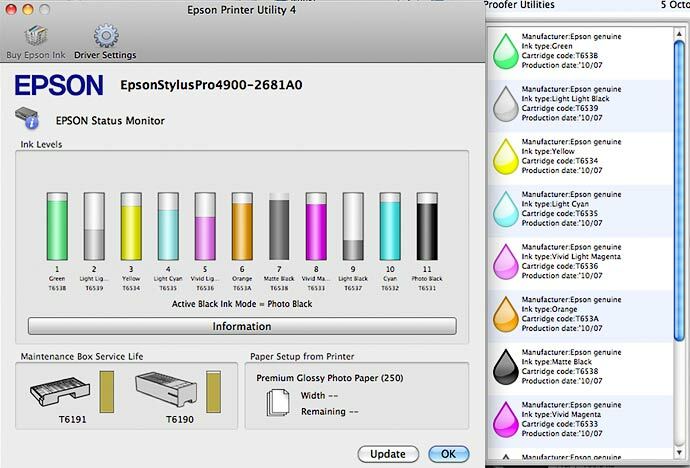 Ink level status is available on the front panel, or in more detail through the printer utility software. 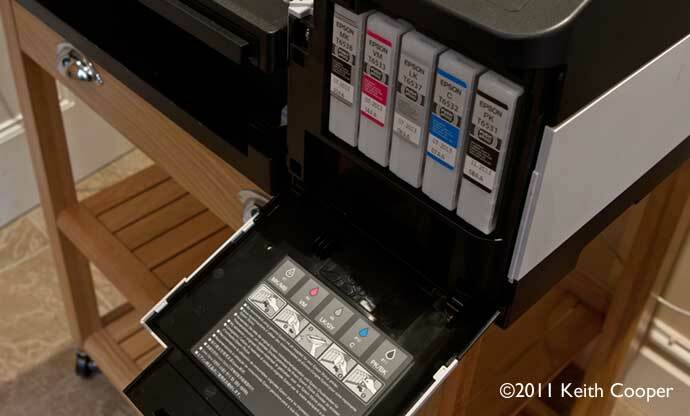 You can set the change of black ink to automatic, or you can manually switch between Matte (Mk) and Photo (Pk) inks. In the past this was a distinct problem with Epson printers if, like me, you used both matte (art) papers and glossy papers. Although much easier and less wasteful than the old cartridge swapping process, it’s probably still a good idea to batch your printing if you print on lots of different papers. There are several ways of getting your paper through the printer. Simplest is probably the paper tray at the front. The number of sheets you can load is dependent on paper type and size – there are 20 A3 sheets of Epson Premium Photo Glossy paper loaded (above). Thick papers don’t work well from the cassette. It extends out quite a bit, since it can take a stack of A2 paper (printing face down) or even plain A4 paper, such as below. 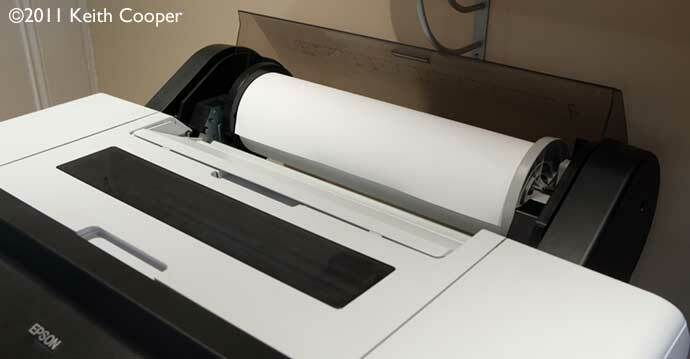 When loading papers (or roll media) you can set it so that the printer knows what paper is present. If this is set, then sending a print job for the wrong paper type will light up the alert light. Such warning behaviour is customisable to some extent. There are also 10 ‘custom’ paper types available. 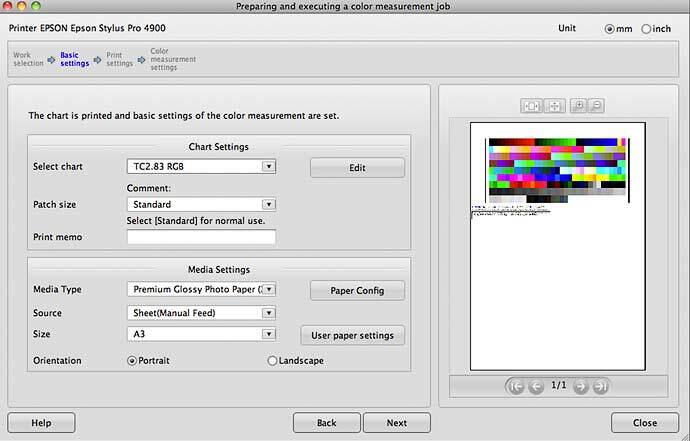 You can configure these from the Remote Panel software, and even run tests to measure the paper thickness via a test pattern. 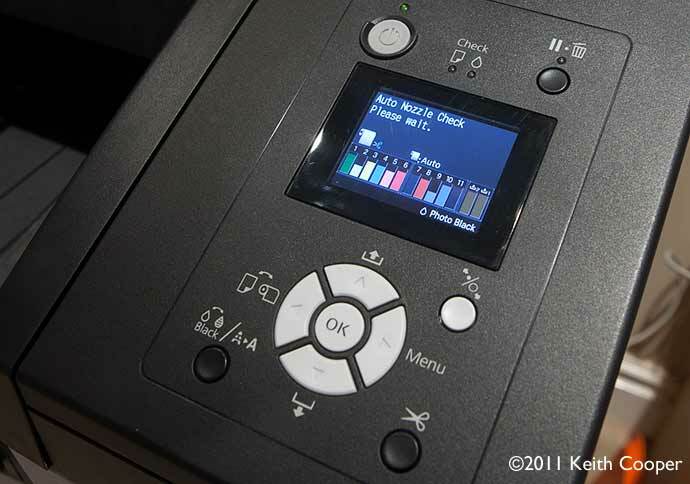 The LFP Remote Panel software allows you to adjust a number of printer operating parameters. The printer will be detected as directly attached or over a network. I’d generally warn people off installing new printer firmware unless it’s needed to fix a particular problem, or there are some particularly new useful features. I’ve heard of subtle changes in print output, and you don’t get a chance to go back. The installed manual (no hard copy provided) is helpful, and it’s worth taking a while to go over it. 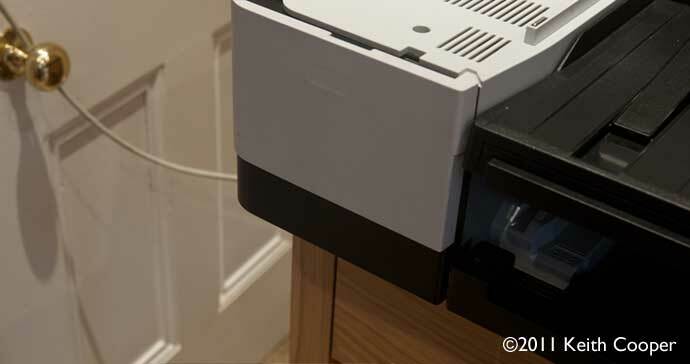 There are lots of non-obvious features and functionality built into a printer like this – some may actually be of use to you, particularly if you’re new to ‘big’ printers. You can get an idea of the range of paper sizes supported, from the print driver dialogue below. It helps to select the correct paper source at this point, since feed mismatches generally cause printing to fail, although it sometimes isn’t obvious why this has happened if you don’t know where to look. Note too the little yellow box showing margins – pay special attention to this if you have difficulties in centering prints. For large papers push the tray in cleanly, and extend the paper output tray sufficiently (or you’ll collect prints from the floor). Move you mouse over image below to see the tray. For fine art and thicker papers it’s best to use the top paper (single) sheet feed. The sheet feed process worked well, with only a few misfeeds at the start, where I hadn’t got the hang of how hard to push the sheet in from the top. The example below shows an A3+ profiling target being printed on an A2 sheet of hot press bright paper. 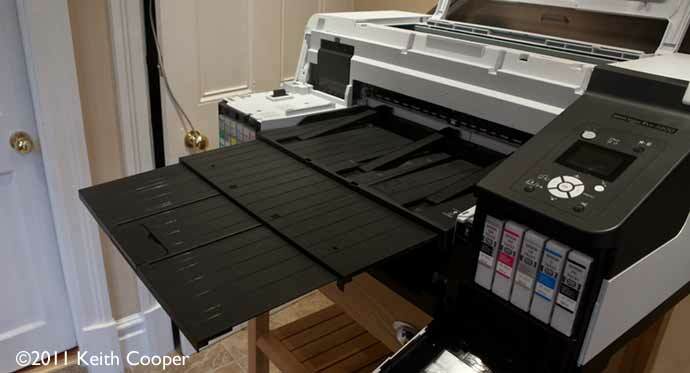 If you are loading big sheets, remember that you need clear space above the printer. You can also load sheets and stiffer media through the front, with an optional straight through print path (but watch out for space at the back). During printer reviews, I tend to stick to OEM papers for actual testing. The papers I used were all very flat and showed no obvious curl. I have had reports of paper jams in SP4900 printers caused by excessive curl in sheets of paper, where the paper caught on the output rollers. 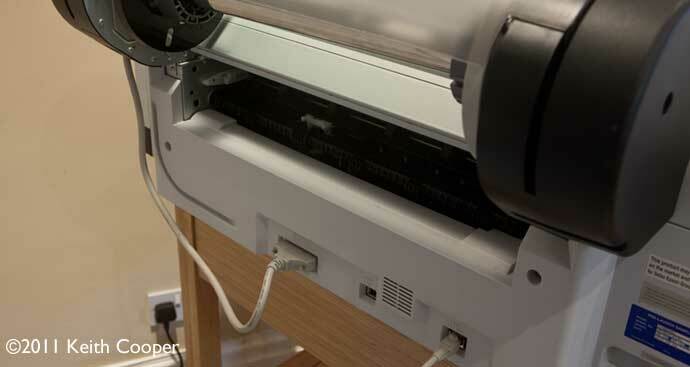 The roll feed mechanism is powered in this printer, which makes loading and unloading of roll paper very easy. As with other media, there are helpful reminders available via the front panel display. The roll is loaded under the cover. Default core size is 3 inch, although adapters can allow 2 inch cores. Personally I avoid 2 inch core media, since the extra curl can easily make prints very difficult to handle. Move your mouse over the picture to see loaded roll. You can tell the printer how much paper there is on the roll, and it will update it with use, with optional low media warnings. When you unload the media, an optional identifier is printed on the roll. This is read next time you load the roll. As you can see there are quite a few features of this printer aimed at much high print volumes than, for example, the 17″ 3880. I’ve loaded a 17″ roll of canvas, and produced a number of long panoramic prints. For these, I’ve set custom page sizes to match the width of the print area I want (1.6m in the example below). The custom size setup is simple, but I would advise careful reading of the manual for settings relevant to your own computer setup, if you don’t want to waste paper/canvas in the process of learning how it works. 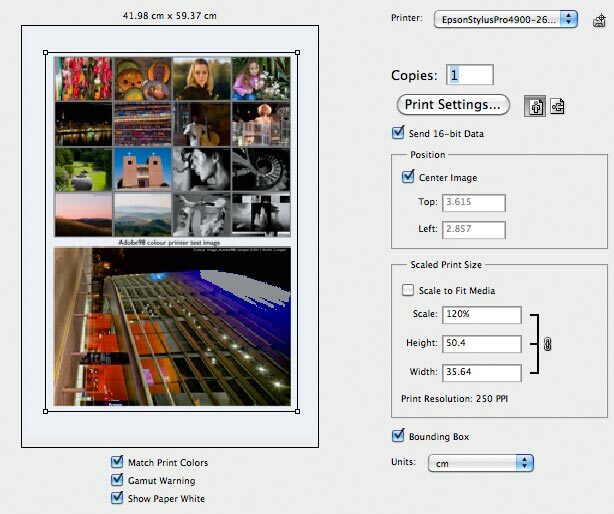 For occasional multiple image layout I use ImageNest (Apple Mac only), which has the advantage of working with any of the printers we have, here at Northlight. It also handles postscript, should we need it. There is some Epson layout software available for this printer but it’s Windows only, so we were unable to test it. The print above shows a test print on an Innova matt canvas – not a medium I’d normally use, but I did have a 17″ roll in the print room. For a print like this (1.6m long) I’d normally have the canvas stuck to board and then brush paint it with varnish, to bring back a bit of punch to the colours. Add a wooden frame and you have a relatively economic way of producing large canvas prints. Note that I’ve not printed ‘borderless’ – this is available but you need to fit a spacer on the roll, to move it slightly to the left. The original image (Widemouth Bay, Cornwall). There is an inbuilt paper cutter in the printer. Blade replacement is via a panel accessible if you remove the front cover (mouse over image to see). When looking at this printer, I’m starting from an assumption that print quality is going to be pretty good. This is based on the steady advances I’ve seen in printers over the last few years, and recent testing of smaller printers such as the Epson Stylus Photo R3000. The printer is aimed at the proofing and commercial print market, as much as it is the fine art printing side I’m looking at. Indeed, the mention of its gamut (colour range) covering 98% of the Pantone range is of no more than intellectual interest to someone like myself looking to print their own photos. 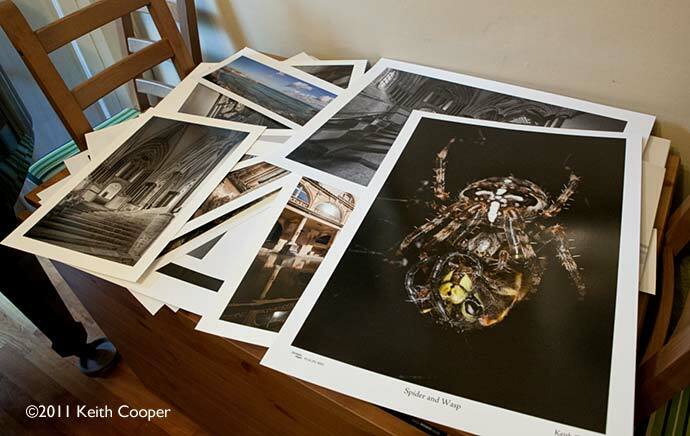 During this testing, I’ve looked mainly at printing my own work (colour and monochrome) on a variety of Epson media. If you are new to a printer I’d always suggest trying it first with the manufacturer’s own branded media, since it will usually produce fairly good results and ICC printer profiles for the paper are likely available. First up though, I have a few standard test images I use – I know what these look like and which areas can show up problems. I printed a range of photos on mostly Epson papers. The first two need Photo Black ink (Pk) and the rest Matte black ink (Mk). Where available I tried printing with Epson supplied ICC profiles, but in all cases I made profiles of my own using just under three thousand colour patch targets, measured with an X-Rite i1 iSis and making profiles with i1Profiler. It’s interesting to note that the SpectroProofer 17″ which I’ll look at later, is based on the same measuring device as my i1 iSis. This printer has two extra inks (green and orange) that both help extend the range of printable colours and produce smoother gradations in some other areas of colour. Having used Epson UltraChrome printers for several years, I was interested to see how the UltraChrome HDR inkset altered the look of prints. At first glance, a printed profiling target looked very similar to one I produced a while ago on the R3000 (UltraChrome ‘vivid magenta’ ink set). Indeed, only when I put two targets directly next to each other under good lighting, could I convince myself that a few colours looked a bit more intense. 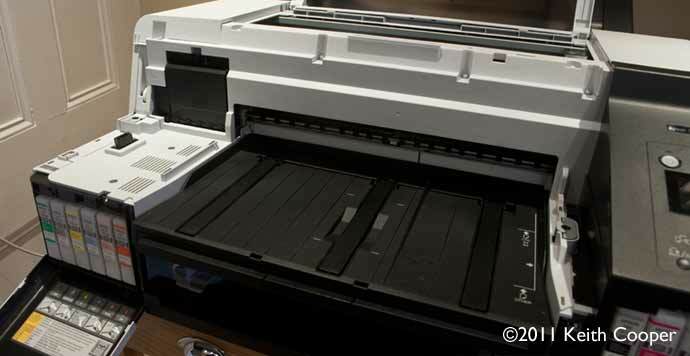 In terms of actual printer gamut, I’d reckon the 4900 is 10-15% larger than the R3000 – real world photos that show this are few and far between. So, don’t expect prints with the HDR inkset, to look ‘obviously better’ than ones printed on say the R3000. How could they look a lot better when the R3000 prints already look pretty good? Looking at a printed target under reflected halogen lights, you can move around to see gloss differential and any bronzing. Note I say ‘effectively eliminated’ since if you look very carefully you can still see it with -all- pigment inks I’ve ever looked at. 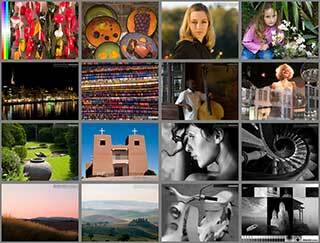 The example below shows the slight effect with Epson Traditional Photo Paper (TPP). It’s very difficult to show, and is now way under the level that would bother me in a real print. Move your mouse over the image to see residual differences in ink reflection. For our colour test image, I’ve now added one of my architectural shots that has extremely deep colours that include texture. In the example below, I’m using Epson Premium Glossy Photo (250) paper, with an ICC profile I’d created. The gamut warning indicator in the Photoshop print dialogue is a fairly blunt diagnostic tool, but if you move your mouse over the image you can see that the deep blues are pushing this particular paper/ink/printer combination. 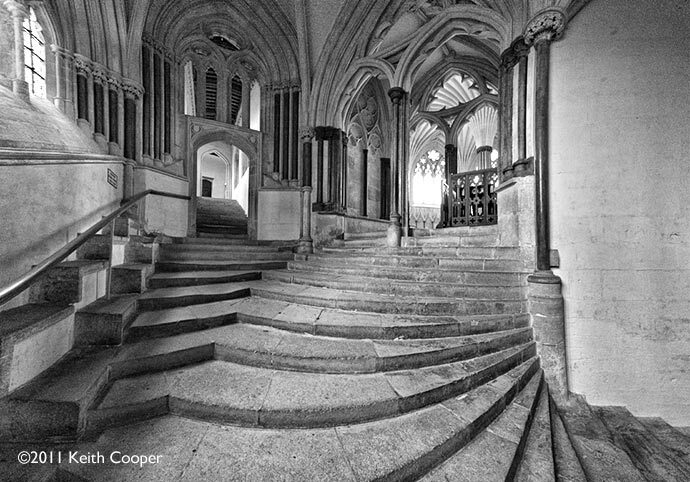 This image is deliberately a very tough test – it performed somewhat better with the Epson TPP. Please don’t misconstrue this as a failing of the printer – this level of print quality was unheard of only a few years ago. It’s getting harder and harder for me to spot anything like this. Move your mouse over the image to see gamut warning areas. 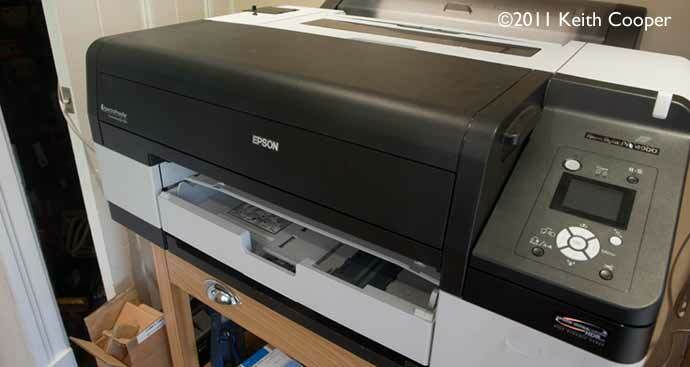 Epson printers like this one support the ABW black and white print mode. 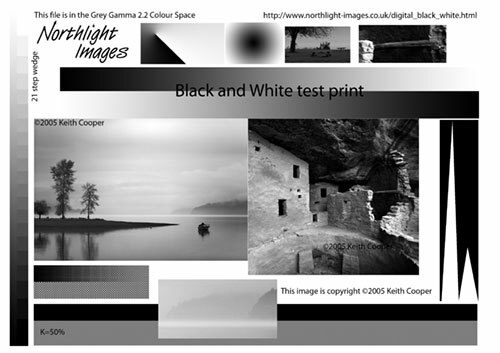 Whilst monochrome prints, such as the B&W part of the test image above looked very neutral, previous testing has shown that the ABW mode can usually achieve slightly denser blacks. I tested the ABW mode on all of the Epson papers I was testing, and found their levels of linearity excellent for my images, at the default settings. The only medium where some form of correction was required was the canvas, where shadows blocked up a bit. Fortunately with a known test print and my experience of printing it on many printers and media, I was able to create a simple adjustment curve that fixed any slight issues. Since this was for a canvas print, on which I was going to be slapping on some varnish, I decided that creating a custom correction profile was way over the top – the curve was easily enough. I do try and remember that it’s the content of the image and how it appeals to people is the main consideration – getting everything numerically ‘correct’ may have appeal to some, but it matters not one jot to most people looking at the print. If I was looking at third party fine art papers then I’d probably try QTR correction profiles if needed. I’ve outlined the process involved in more detail in the B&W section of our R3000 review if it’s of interest? The ABW print mode is accessed through the normal driver. 16 bit printing isn’t available in this mode, although to be honest, I’ve seen very few images that show any difference with it. I’ve selected ‘Superfine 1440’ print mode, since in common with many recent Epson printers, I’ve only noticed the higher resolution mode of use for small prints where you look at them from a relatively short distance. Other than that, it generally slows things down and uses more ink. I was unable to see any difference in two prints, one printed at high speed (bidirectional) and the other unidirectional one. If I could see a difference I’d take it as a hint to run some of the printer calibration utilities available. Do make sure that all print settings are correct – on the Mac you need to make sure that ‘Color Controls’ are selected to allow you to select ABW mode. I should add that the ABW mode also allows for toning/tinting, but if you use it, use it very sparingly. It’s easy to overdo the amount of colouring. 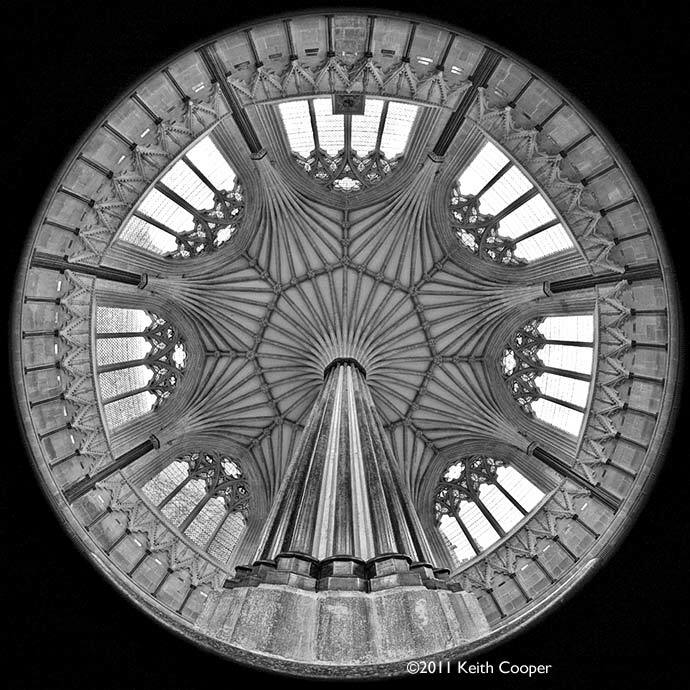 Printed on A2 size paper, the amount of detail in the stonework, in this image of the Chapter House ceiling at Wells Cathedral works really well. This is an image that looks great on a fine art paper such as Epson Hot Press. I prefer the ‘natural’ version since it gives a touch of warmth to the stonework, although in normal room lighting the Hot Press Bright might work better. As with all paper choices, it’s about what you feel about the image. What works for me may not work for you. The image also works on a lustre paper such as Exhibition Fiber (TPP), where the intense black makes the light seem to flow out of the image. I prefer the matte – YMMV. As I mentioned, I like to make our own colour profiles for papers and printers I’m testing, using i1Profiler from X-rite and an i1iSis scanning spectrophotometer. An A3+ sheet, such as the one coming out of the printer below, makes for very good profiles (and takes only a few minutes to scan). Note that although the printer has additional Orange and Green inks, it still behaves as an RGB device if you are using the Epson printer driver. If you were driving the printer via RIP software then profiling gets more complex. However, I’m looking at normal photographic printing, where I’m happy to suggest that the expense and complexity of a RIP is beyond the (realistic) requirements of many. Do note that I don’t have any difficulty in suggesting RIPs for some graphics/commercial print uses. If a RIP supplier wants to show me how their product produces better looking prints than using good ICC profiles through the normal driver, then I’d be very happy to cover it in one of our reviews. Note that’s print quality – workflow considerations are another area altogether. If you want to profile third party papers, then it’s essential to use the proper media settings for the paper you are using. Some manufacturers will suggest setting for their papers, but with others you need to experiment. Once you find appropriate settings it may well be worth setting a custom paper type, if you are going to be using a particular paper a lot. One reason might be that a standard media setting works well for ink limits, but is the wrong thickness. I’d have liked to see a more comprehensive approach to making custom media settings and their use in the printer, but the facilities are at least there for you to use. This allows the measurement of coloured profiling targets, similar to those you can see coming out of the printer in some of the earlier photos. The supplied software covers basic functionality of the device, but it’s important to note that is not a standalone paper profiling solution. 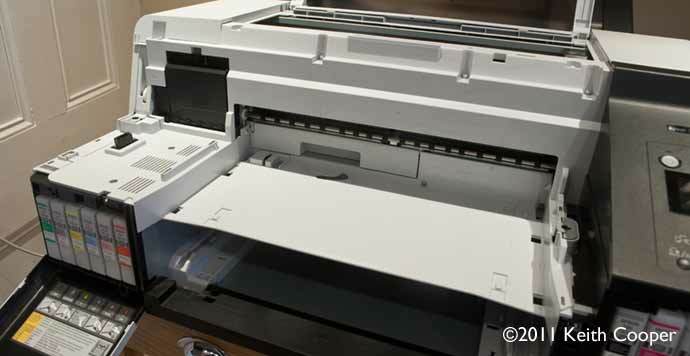 The device fits on the front of the printer, and is quite easy to assemble or remove. I’ve included several photos below that if you roll your mouse over them, show different stages of the fitting process. The front cover is held on with a few screws. The paper tray needs removing. It just slides out. When replaced, the flip up guides need to be lowered, and you won’t be able to front feed sheets of paper. A new paper guide roller set is added. 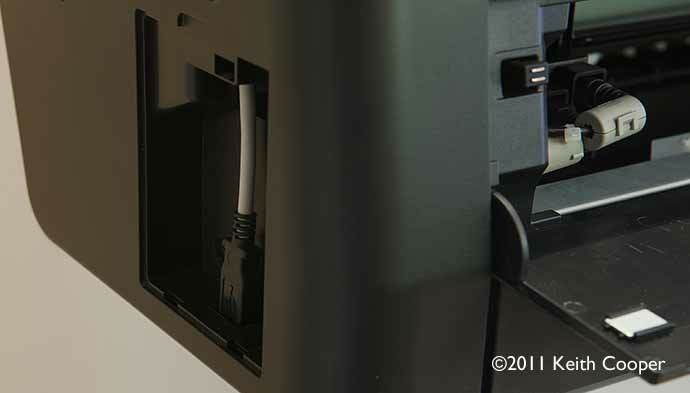 Ensure that the black connector fits solidly to the SpectroProofer unit. 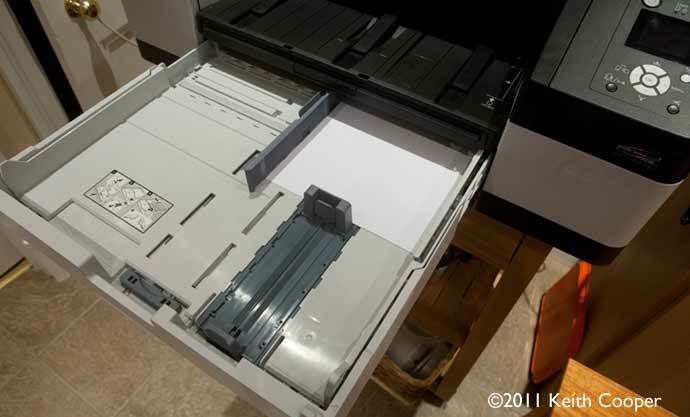 The SpectroProofer 17″ unit is fitted and the paper tray replaced. Don’t forget the unit’s USB connection. If this is a new install, you will also have to fit the measuring device and plug it in. The spectro is available in UV and UV cut versions. 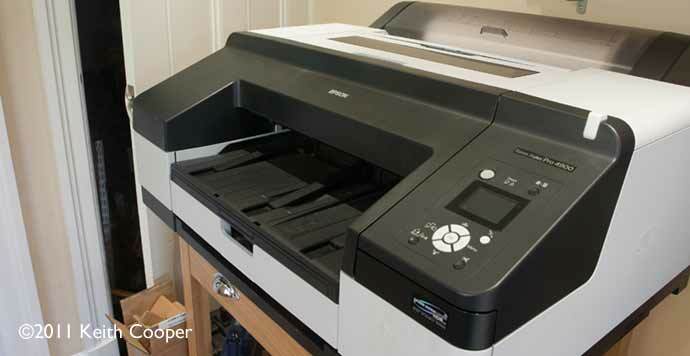 It takes a few minutes to fit the SpectroProofer attachment, and you can turn on the printer. The front panel will alert you to any problems. The first time I fitted it, there was an error number 02. This was caused by me not quite fitting the paper guide roller unit correctly. There is a guide to installation provided. 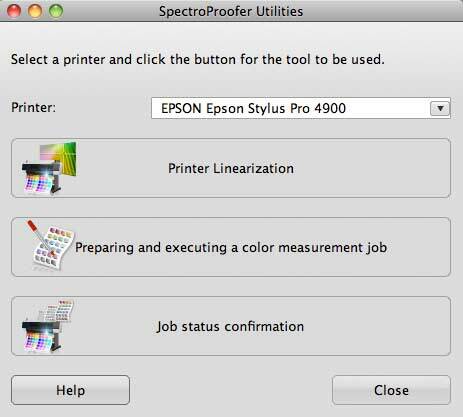 Once set up you can use the SpectroProofer Utilities software. 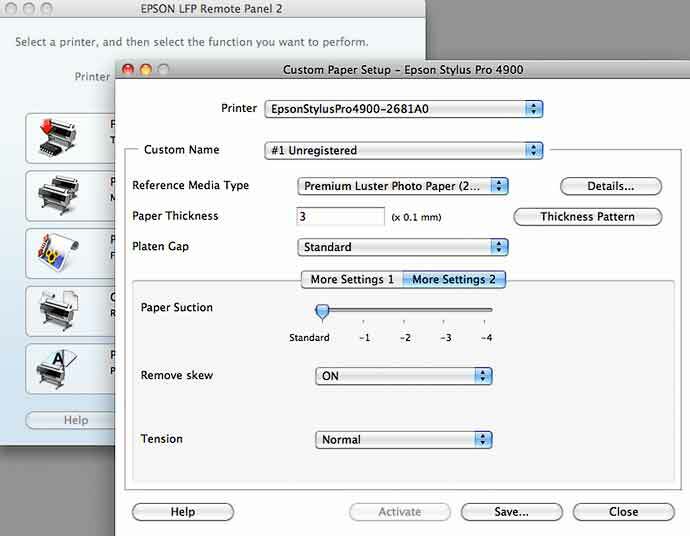 Printer linearisation allows you to get your printer to a known state, referenced to Epson standards. 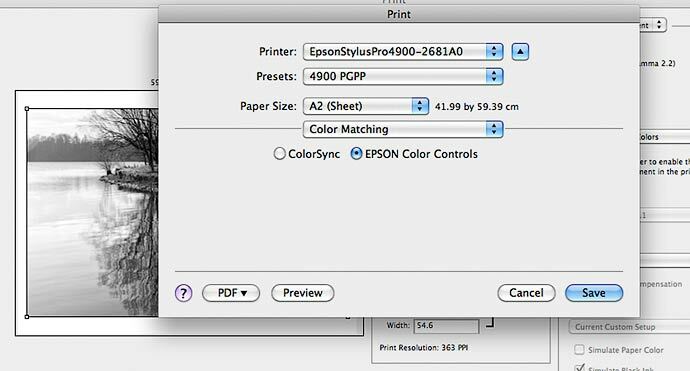 This is useful if you have several printers that need to produce matched output. Once again this is much more aimed at commercial print and graphics uses, than photo reproduction. 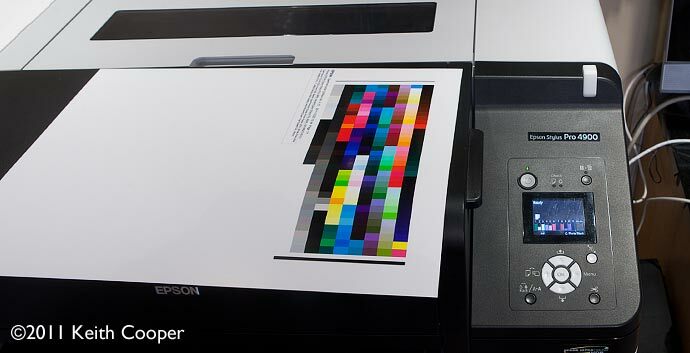 It’s worth noting that if you use Epson ICC profiles then they will have been produced to match a printer that has been set up to the standard. I produced a test print and had it measured by the device. Target sizes are somewhat limited if you are using sheet paper, where it would take two A3+ sheets to print a 918 patch target, as opposed to ~2900 I can get on a single A3+ sheet for our iSis reader. Here’s the sheet after measurement. You get a choice of black or white measurement backplates. After measurement, a text file of data appears, ready for you to use. I note that the standard data file contains Lab values rather than spectral measurements. To be fair, the SpectroProofer isn’t really intended as a profiling solution for general print use like I’m trying here. It’s designed for colour critical production use, where performance testing, profiling and quality control are important aspects your business. It works with some RIP software for profiling and linearisation – if FOGRA wedge charts mean anything to you, then it may be of interest. 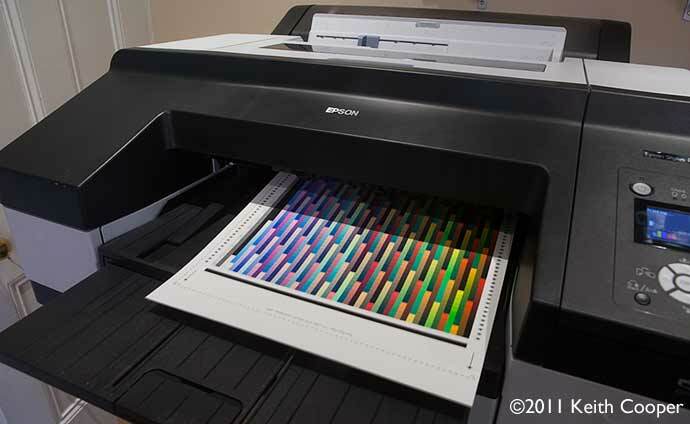 See this Epson article for more about what it does. 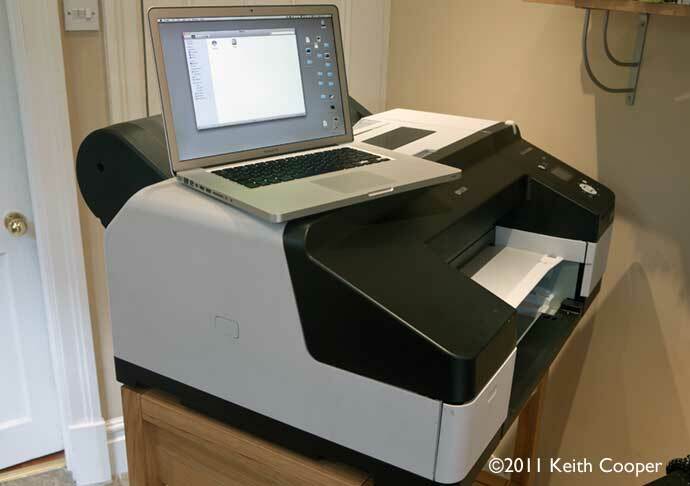 This is the sort of printer that you expect to be on a stand and in the corner of the office, not on your desktop. It gives a feel of being really well engineered and designed to withstand heavy day to day use. It’s a big jump from the SP4880 I looked at a few years ago. It’s faster, needs no black ink swap, and has the 11 colour HDR ink set (10 cartridges in use at a time). Print quality is superb, notching up improvements on the the excellent SP3880 and R3000 we’ve looked at in the past. It’s a moot point as to how often you are going to notice those improvements in real world images, given the decreasing rate of visible improvement in printers, as they get better. The real differences come if you want to use the printer for commercial proofing or design, where the 98% Pantone coverage really means something. 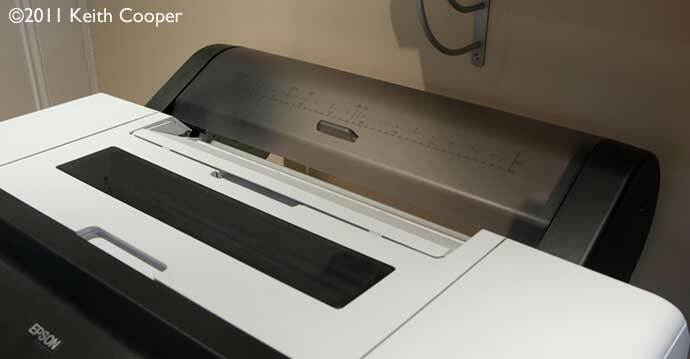 Add in the SpectroProofer option and you have a printer that can be a key part of an efficient production workflow. 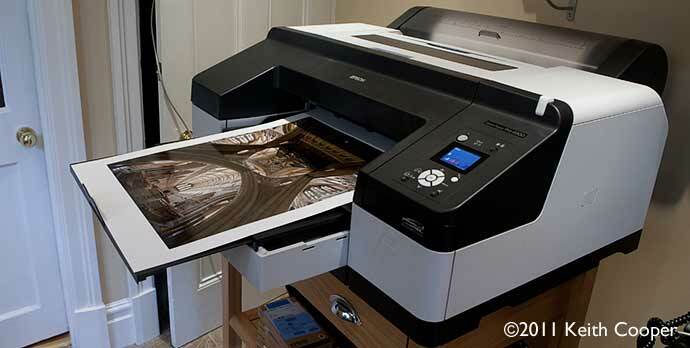 For the photographer wanting to produce their own fine art prints, and with the space for the SP4900, it’s an easy to use printer that you can drive just the same as any small printer, but with options for roll paper and A2 sheets. 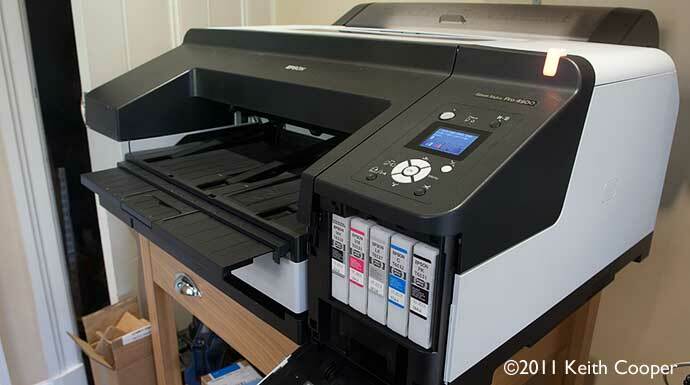 To get the best from a printer like this you need to address all aspects of your workflow, from camera to print. Colour management is no longer an optional ‘nice idea’. 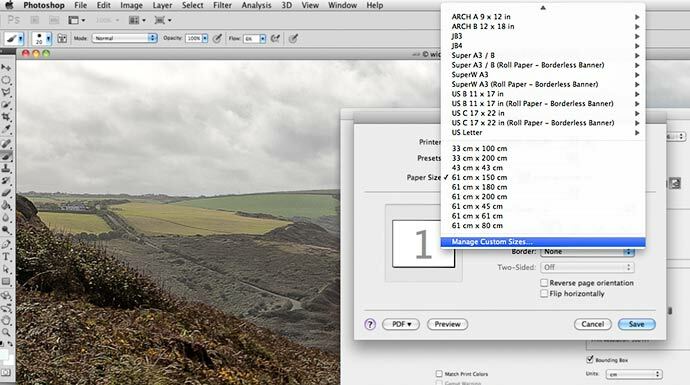 Things like print sharpening, which might have been OK for small prints, need to be looked at as a vital link in the chain, not just a ‘sharpen for print’ button that you press. Oh, and big prints deserve great images – don’t get hung up on the technicalities at the expense of thinking more about what it is you are making and why. 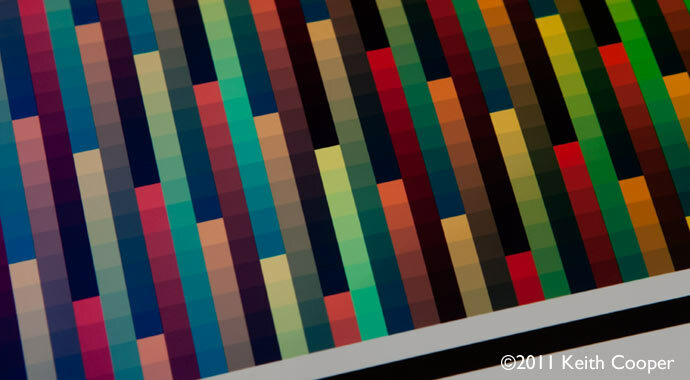 For large prints, there are two components that make the delay between hitting the print button, to collecting the print. First is the delay as your computer prepares the print data – this can easily be a minute or two with very large prints. Second is the actual print time. An A2 print typically took some 6-7 minutes at ‘Superfine 1440’ to print. An A3+ print at the very best quality settings would print in 9-10 minutes. It’s often said that you should print at the very highest resolution and in unidirectional mode – well that used to be true. I could see a difference in the results from my Epson SP9600 and SP1290 printers, if I selected unidirectional mode. But, that was back in 2004. Things have moved on a lot in printer accuracy and I’d suggest anyone getting one of these printers actually prints a real photo at ‘super’ settings, and at ‘High quality’. The 4900 is not available with a built in hard disk, so you need to re-run any print jobs on your computer to make a print again. Here’s a sample (scanned) for the test print I showed earlier (although the image was actually printed on an A2 sized sheet. I’m not one to fret over the minutiae of print costing (if it makes that much of a difference then I’m not selling my prints for enough ;-) but I know it’s far more important for some people’s business models. If you were to compare ink costs with an SP3880, then you are looking at 60-70% of the cost with the SP4900. What these figures mean is that if you produce a lot of prints, then after a while, the additional cost of the printer is taken care of. How many prints is a lot? Depends on what deals you can find for the printer, but a guestimate would put it in the hundreds, not thousands. The difficulties come when you try and get precise ink usage data and factor in how much is used filling the ink lines when first setting up, the reduced capacity 110ml ‘starter’ cartridges and what’s used up in cleaning. Anyway, the SP4900 is cheaper to run and a whole lot more robust, if you’re going to be doing many prints. Below, some of the many test prints produced during production of this review. 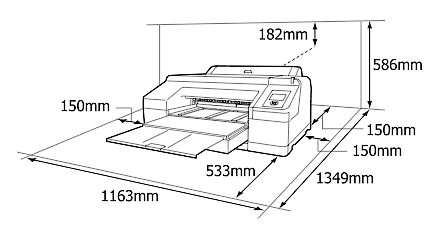 It’s difficult to find much to complain about with this 17″ width printer. It didn’t clog or mess up paper feeding once during the time I was testing it. The UltraChrome HDR ink set does cover a wider gamut than you would get with an SP3880 or R3000, but with real world images you’re not going to see obvious differences. Roll media handling is simple and efficient. The printer software provided does cover all the basics, but I’d like to have seen more to make the custom media settings an easy to use option. 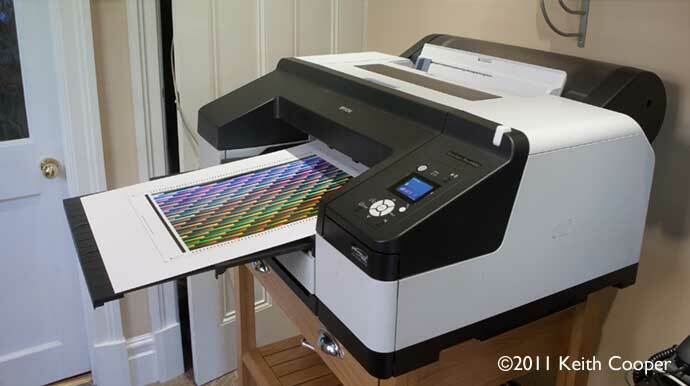 The optional SpectroProofer 17″ is far more appropriate to a commercial print/proofing/design environment, than for fine art/photographic print use, where I’d argue that a separate profiling solution would be more flexible and economic. Overall print quality is excellent, and I’ve produced a whole range of test prints that I’m happy to give to clients as examples of my work. 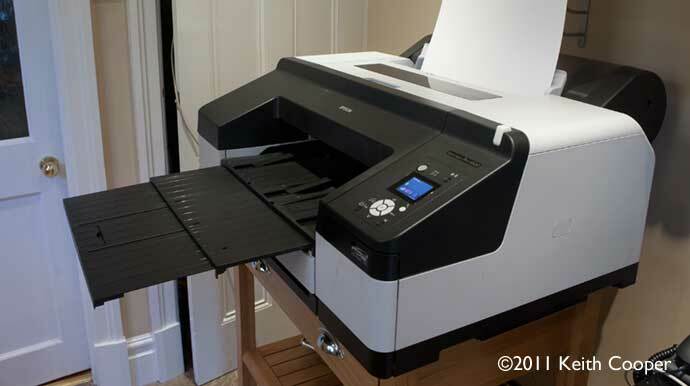 A very solidly built 11 (10+1) colour printer that offers sheet and roll media capabilities. Straightforward to use and producing consistently fine prints. The SpectroProofer 17″ option is easy to fit and use, although intended more for production/proofing work in a commercial print environment. Edge To Edge Borderless Roll Media Max 432mm;8/10/11/14/16/17″, 210/254/297/300/329/420mm.